There isn’t much in this life that’s better than freshly baked bread. The smell, the taste, that first bite smothered with one fat-laden spread or another…it’s literal heaven on earth! I usually try to have some type of homemade bread or muffin to give my girls in the morning before school. That, in combination with a smoothie, is usually what they both eat for breakfast, and it seems to tide them over well until their respective snack times. 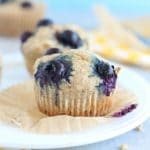 I have a few of their favorites in the post queue for the blog, including a whole-grain spelt bread, mixed berry muffins, sugar-free buckwheat muffins, and today’s recipe. I’ve gradually been transitioning away from yeast breads in favor of those that rely on a combination of an acidic milk paired with baking soda and/or baking powder. I find these types of loaves just as satisfying and much faster to make! 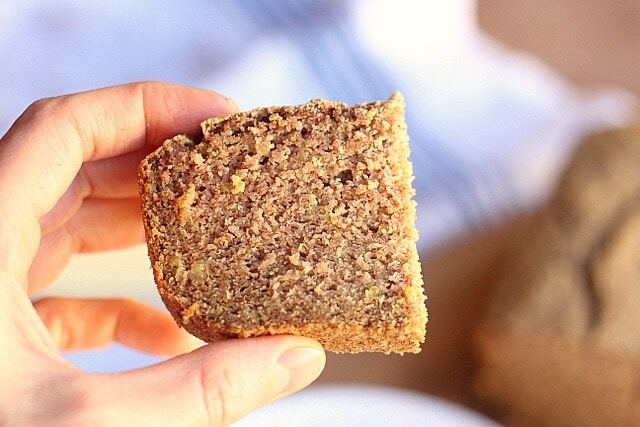 I love this Gluten-Free Bread already on the blog, but given that I also love to experiment in the kitchen, I decided to take a stab at a bread free of both eggs and oil and based around one of my favorite flours, buckwheat! 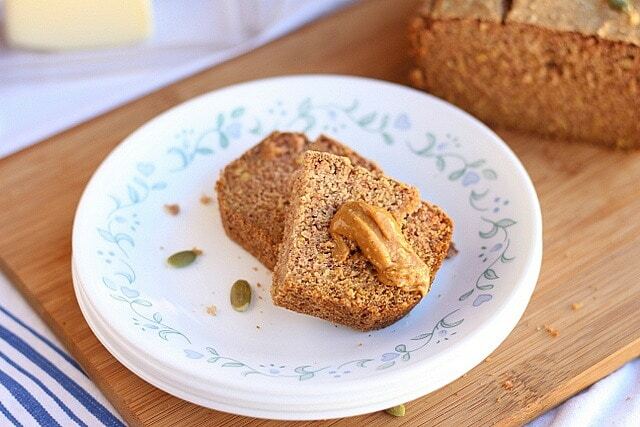 This loaf turned out beautifully, and the addition of cooked quinoa gives it a natural protein boost. It’s also approved by the entire family, which is always nice, though I know I could eat this all myself! 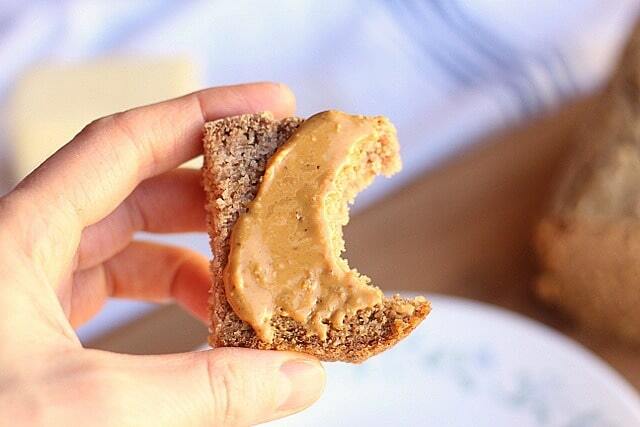 We enjoy this topped any number of ways; for the girls, it’s usually a big pat of butter or a drizzle of olive oil, and for me, Laura Scudder’s smooth peanut butter. However you eat it, I hope you enjoy it as much as we do! Make this fresh loaf of bread to enjoy with soup, salad, or by itself! 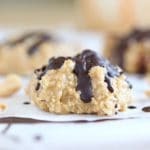 Gluten-free, vegan, and easy to make! To make your 'buttermilk', mix 1 1/2 tablespoons of apple cider vinegar with 1 1/2 cups of any milk you tolerate. Stir and let sit for 3-5 minutes. Mix dry ingredients in a large bowl (flour, baking soda, baking powder, salt). Mix wet ingredients in a medium bowl ('buttermilk' and applesauce). Mix everything together, including the quinoa, until well combined. Pour the batter (it will be wet) into a well-oiled loaf pan. Bake 30-40 minutes until golden and springy to the touch. Remove from the oven and cover the pan with a tea towel for 10 minutes while the loaf cools. I only use buckwheat flour ground from these raw groats, but I suspect the pre-ground kind will work here as well. I use this Homemade Coconut Milk to make the buttermilk for this recipe. How do you top your bread? How about quinoa flakes, cooked? I think you’d be better off with just the flakes, as the cooked may add too much moisture? I can’t say for certain on anything other than what I’ve tried. Baking can be tricky, as it is a bit more exact than cooking. How would cooked farro work instead of quinoa? It seems like it would, but because farro is heavier, the bread may turn out a bit more dense. This has become my new staple bread. I’ve suddenly become gluten, yeast, and dairy intolerant, all at once. 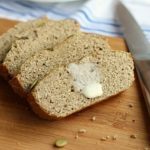 I’m feeling my way through a new way of eating, and this bread recipe has helped me feel grounded. Since I’m single and can’t consume a whole loaf in one week, I slice it and freeze half. It freezes and toasts beautifully. I’ve made this with pure, preground buckwheat (toasted) and pumpkin in place of applesauce, but I find, with the preground dark buckwheat it’s too earthy for my palate (along the lines of a dark rye or pumpernickel). I’m not a quinoa fan, so I use 1/2 cup rolled oats in its place. It works great. I’ve added 1 tsp of xanthan gum to give a little more elasticity to the bread. 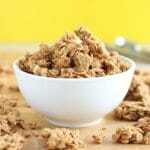 By far, my favorite is the recipe as written (with the oat substitute and xanthan gum addition). 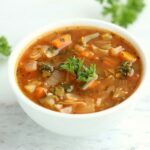 It’s a fantastic base recipe and easy to add herbs/spices to change it up. Sounds great but I really dislike applesauce. Is there a substitute? Anyway I can do without buttermilk? Just regular? 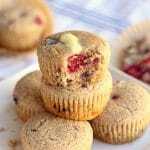 I made as muffins and added an unpeeled chopped apple to the batter. It was great. I made this last night using preground buckwheat flour. I absolutely love it — thank you! I think the preground flour is probably a bit stronger in flavor than if you grind it yourself, so I will be getting some buckwheat groats and grinding them next time, just for a slightly milder flavor. Even my 6-year-old loved it! She said she likes it better than her usual store-bought Ezekiel cinnamon raisin bread! I topped hers with fruit-sweetened jam and peanut butter, and I topped mine with almond butter, hemp seeds, and sliced banana. 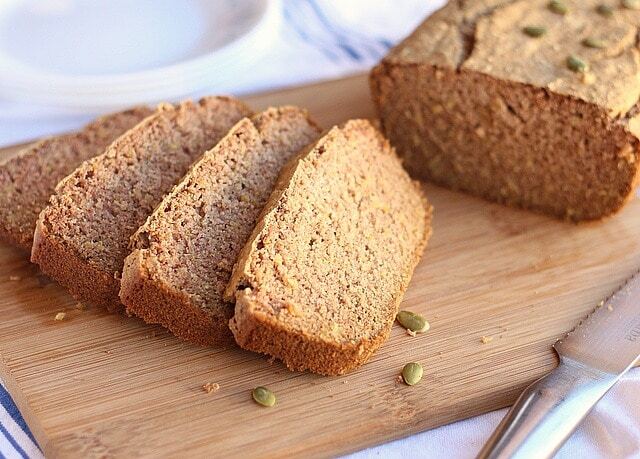 I love that this bread is oil-free, gluten-free, vegan, and sweetened only with applesauce. It’s super filling, too — and that’s saying a lot for this always-hungry, breastfeeding mama! Even my 13-month-old son enjoyed the bread with nut butter and apple butter on top. 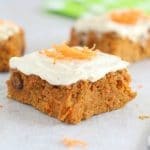 How do you think this would work with 1/2 buckwheat flour, 1/2 oat flour? I’d love to try some more combos! Thanks for all your wonderful recipes! So excited to have found your blog! Thanks Tammy, your toppings are making me hungry! I think the oat flour would work, though buckwheat is slightly more absorbent, so you may need a tad more. I should try that, I bet the flavor would be great! How well does this freeze or how long does it keep otherwise? 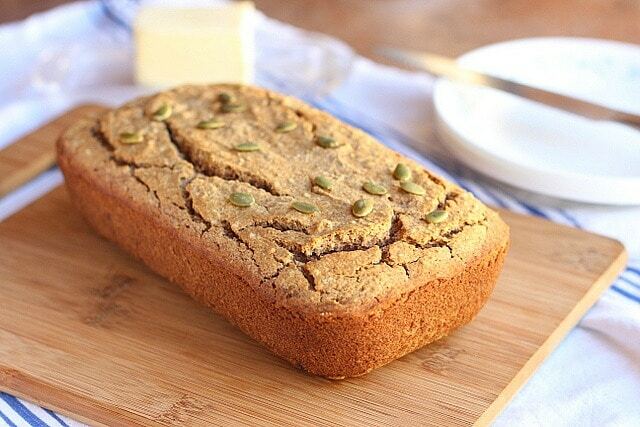 This is THE BEST buckwheat bread recipe ever!!!! 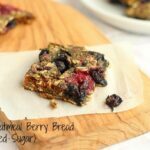 I have tried around 10 different recipes for vegan glutenfree oilfree buckweat bread. They all were a disaster. This bread is amaaazing! So soft, so moist, so tasty!! Yeahhhh am so happy!!! This is fantastic! It feels so much like real bread. Except for the one family member who doesn’t like buckwheat AT ALL. 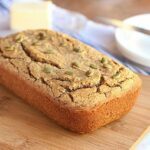 Can you make this bread with other gluten free. 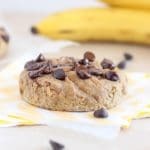 whole grain flours? Like maybe millet? Thanks! This was wonderful with a big chunk of butter straight out of the oven! Do you think this would work if I just omitted the quinoa? My son has 2year old leaky gut and doesn’t do well with whole grains yet (he does tolerate when I turn them into sprouted flour) . Or suggestions instead? We love recipe otherwise! I’ve made it for my daughter and myself. Lovely toasted with some coconut oil and a pinch of salt and cinnamon. Yum! I think it would work, though I haven’t tried myself. You could add in the same amount of pumpkin seeds in place of it if you like! Yes! I did it and it was just fine. Thanks for another excellent recipe!! It turned out great…pretty close to your pictures too – not bad for my first try ??. I didn’t have any applesauce on hand so I just puréed a raw Apple…it worked just fine. The breads texture reminds me of banana bread (minus the intolerable bananas ?). I will try toasting it as well. I need some more bread in my life and this look looks sooo good. Really cool that you used quinoa. I actually haven’t tried making homemade bread… I thought it would be a pain, but you make it sound so easy, I can totally try this out. The only thing – when I try clicking the link for the homemade coconut milk it takes me to the buckwheat groats. 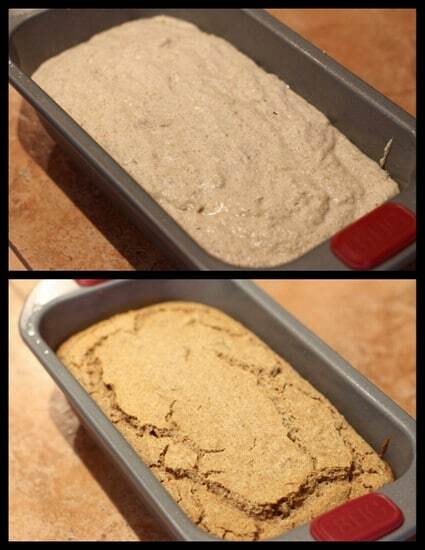 I would love to see the recipe for the milk so I can make this awesome bread! Thank you!! That “milk” recipe is so easy – I can’t wait to make this bread! 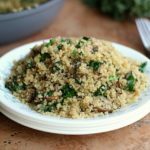 I’ve noticed that buckwheat and quinoa actually work really nicely together in terms of taste and flavor. 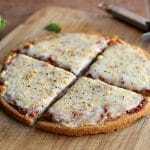 It’s nice, since gluten-free breads are sometimes low in whole grains and fiber. This bread looks perfect. Yum! Thanks for the comment Lee, I’m happy you enjoyed the recipe!